· Remove our obscurations of body, speech, and mind. · Obscurations are emotions, attitudes, imprints, and habits that prevent us from attaining enlightenment. · Gather the two accumulations: merit and wisdom. · Purify, weaken, and get rid of our clinging and attachments. 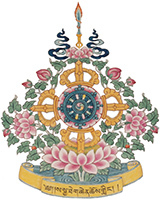 Students are invited to join Ron Hogan weekday mornings to perform the Refuge Foundational practice in the Sakya Monastery Shrine room.